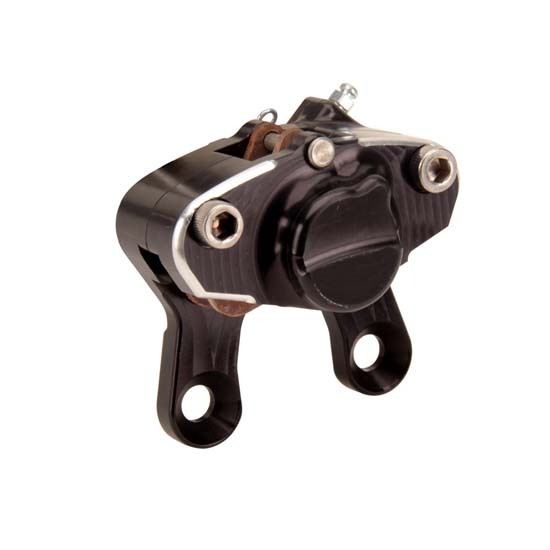 This two piston front brake caliper is specifically designed for use with Micro Sprint racing applications. Its mounting ears extend directly to the spindle so no adapter plate is needed. Note: It will not clear a normal wheel half unless a big bell wheel half (deep dish) is used with this caliper.